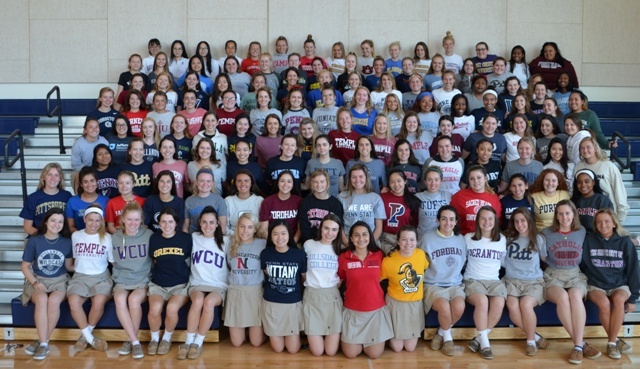 At Merion Mercy Academy, each junior and senior student meets individually and in groups with her college counselor to plan for her post-MMA education. Our primary goal is to ensure that all MMA students receive ongoing support as they search for and apply to colleges that match their individual interests and abilities. Click here for the Class of 2020 Parent Feedback Form. Click here for Family College Night Parent Presentation. Click here for College Application Bootcamp. FAFSA will be available October 1, 2019. Click here for the colleges that require CSS Profile in addition to FAFSA. MERION MERCY ACADEMY CEEB/ACT CODE IS 392575.